Many believers struggle in prayer today, even after years of walking with God, because they were never discipled effectively into a prayer relationship with Jesus Christ. New believers need a firm foundation to build an effective experiential relationship with Jesus. 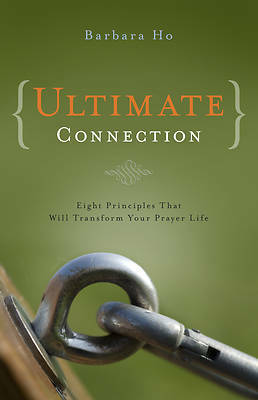 The 8 principles in this book will encourage and equip both the novice and struggling pray-er into a dynamic relationship with God. Its discussion questions and prayer action steps make it a great resource for small groups. About the Author Barbara Ho is an author, marriage and pre-marital counselor, and a very active pastor's wife. After ministering in a vibrant, multi-ethnic church in Queens, New York, for 25 years, her husband, Daniel, and Barb became church-planters in Houston, Texas. The Hos are also very active in ministering in orphanages in Ukraine. Barb and Danny have two married sons.